Back in the fall of 2014, a little-known San Francisco company called ODG released two pairs of augmented reality glasses. While the industry’s software companies were busy hawking Epson’s respectable BT-200 glasses, developers were telling me something different: It’s all about ODG. Now, ODG is expanding into the consumer space with a new headset it will announce at the CES conference. The yet-to-be named glasses will be designed similarly to Wayfarer sunglasses (every consumer augmented reality company’s choice these days) and weigh a relatively light 125 grams. They run on an integrated battery and work with ODG’s series of input devices, plus anything else that relies on Bluetooth. They will cost less than $1,000 and are scheduled to be released by the end of the year. ODG will debut a new software platform next week to complement the glasses. It all runs on Android. 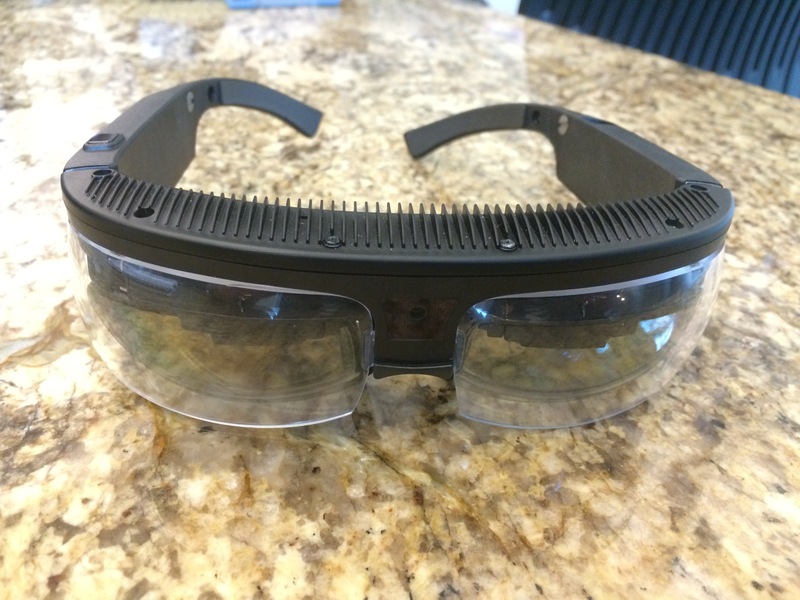 An earlier version of ODG’s smart glasses. It’s tough to say if consumers are actually ready for and interested in augmented reality glasses. The experience is still primitive — a translucent screen floating over a portion of your vision. COO Pete Jameson said the glasses are the result of six years of feedback, and he believes devices like Google Glass have primed the public for the experience. ODG’s team knew it wanted to build something that didn’t have a cable for portability, and the glasses are made so that no one can see what you’re seeing inside of them. It’s a private experience. And it works. ODG’s graphics are crisp and easy to see. I watched a 3D video and interacted with my surroundings while trying on two of ODG’s headsets last month, and I immediately saw what those developers had said to me. My eyes didn’t hurt the way they did when I used other platforms. There’s no lag thanks to the Qualcomm Snapdragon 805 processor. The experience feels how it should, once you accept augmented reality’s current limitations. 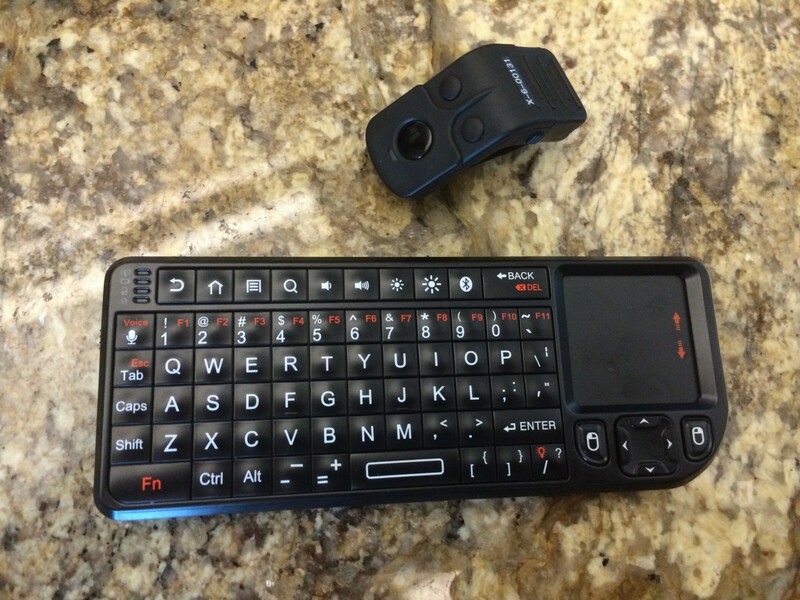 ODG has developed a series of peripherals for its glasses, including a keyboard and a finger mouse. ODG, which stands for Osterhout Design Group, has been around since 1999. Founder Ralph Osterhout has more than 160 patents and applications, and has designed equipment that appeared in James Bond films, founded a scuba equipment company and sold gear to the Navy. ODG has done everything from integrating high-tech electronics into children’s toys to building drones for the U.S. military. These newest smart glasses grew out of the many generations of headsets it built for the military. Interested in investing in ODG? Well, tough luck. It has never taken money from investors and doesn’t plan to any time soon. It will be interesting to see where this new consumer headset falls among the much-hyped entries from startups like Meta and Atheer. “Once the content comes, the people are going to come,” Shams said. Does anyone know anything about the company sharing the booth at CES with ODG, booth SV-6, Infinity Augmented Reality? Didn’t Microsoft acquire all of ODG’s patents last year? I’m in. Give me a link to order. I’ve been waiting for this. Partner this with Ableton Live and it could be one of the most powerful music performance setups going. As a guitarist and EDM producer I am constantly seeking innovations that can push boundaries. This has potential, and I could see Imogen Heap being one of the first adopters too, considering her creativity and interest in technology (re: her gloves). Thanks for sharing. 3 to 5 times less, depending on the hardware, is viable.